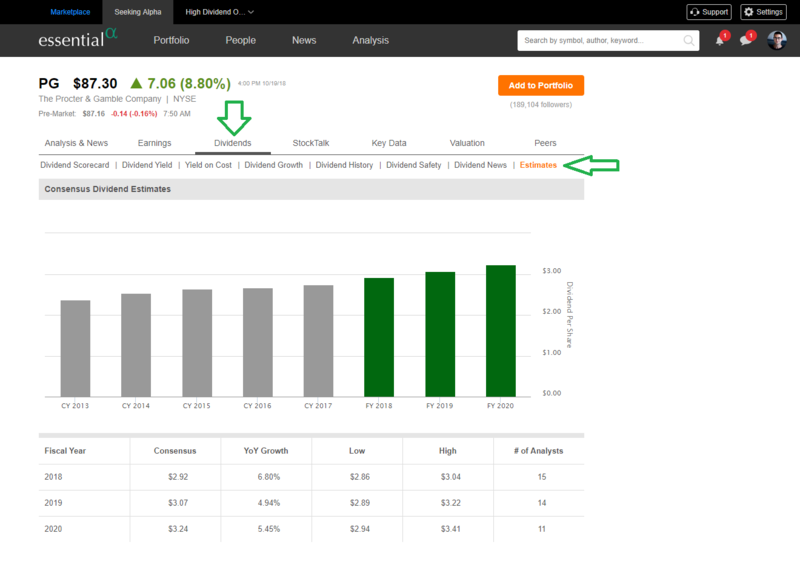 What is the "Dividend" tab and how do I use it? The investment goal: I’m assessing a stock for its dividend. How does this stock’s dividend payout compare with others in this sector? What might this dividend payout look like in 2-3 years? The feature that achieves this for you: Dividend. 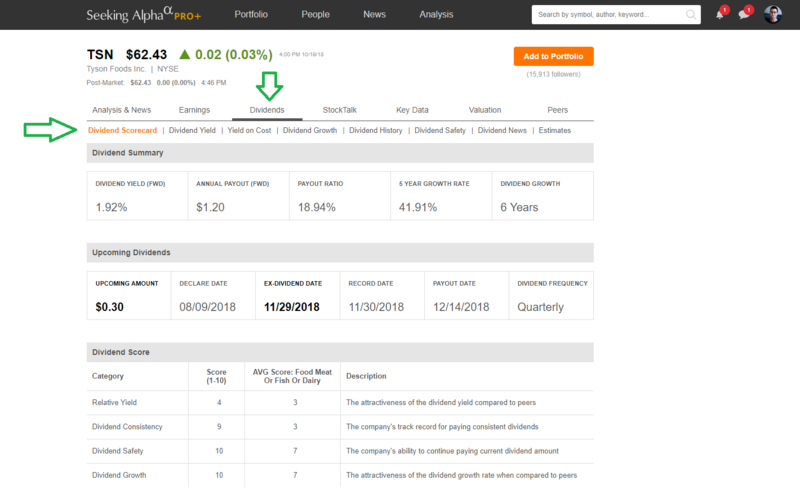 As part of your Essential (formerly PRO) subscription, you have exclusive access to tools like Dividend Scorecard and Estimates. Dividend Scorecard shows you how the dividend stock is rated in terms of Relative Yield, Dividend Consistency, Dividend Safety and Dividend Growth. Estimates are provided by FactSet and are gathered from sell side Wall Street analysts. The estimates try to predict future dividend payouts and allow investors to see a dividend payout forecast 2-3 years into the future. How to use it: When accessing Seeking Alpha from a laptop or desktop (not mobile), in the search box at the top of the Seeking Alpha website, type in a stock symbol that is of interest to you. When you hit the stock's quote page, click on the Dividends tab. Then select either "Dividend Scorecard" or "Estimates". Previous article: How do I find the best articles on any particular stock? Next article: Do I need to download a separate app to gain access to Essential?